London: Hodder & Stoughton, 1948 Red cloth on boards. 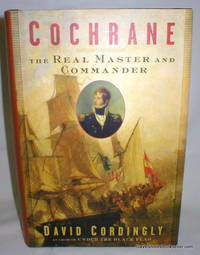 The author is known for his work as a submarine commander and author. No reference was found to this book. 281 pp.. Hard Cover. Very Good/No Jacket. 12mo - over 6¾" - 7¾" Tall. North Dighton, MA: J.G. Press, 1998 Large, heavy book will need extra postage. The Lure of Spanish Gold. Brethren of the Coast. Buccaneer Explorers. Corsairs of the Mediterranean. The Golden Age of Piracy. Libertalia; The Pirate's Utopia. The Pirate Round. French and American Privateers. The Eastern Seas. Chinese Pirates. Piracy Today. Glossary of Sea Terms. 256 pp. . Second Edition.. Hard Cover. Very Good/Very Good. 4to - over 9¾" - 12" tall. 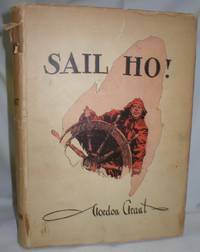 Toronto: Navy League of Canada, 1944 Outlines the organization, and gives examples of large and small craft, including H.M.S. 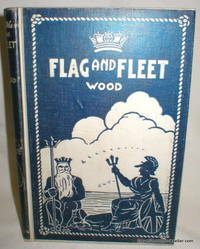 King George V, cruisers, and the little ships, as well as a chapter on the merchant seamen. Pasted inside the rear cover is a news photo of H.M.S. Uganda, Canada's first cruiser. 64 pp.. First Edition. Soft Cover, Stapled. Good to Very Good/No Jacket. Illus. by Naval Photographs and Art. 8vo - over 7¾" - 9¾" tall. Saint John, N.B. : Trinity Enterprise Inc., 2008 Chapter 11, "Casualties," is especially sobering. 174 pp.. First Edition. Soft Cover. Near Fine/No Jacket. Illus. by Photo Section. 8vo - over 7¾" - 9¾" tall. London: Edward Arnold & Co., 1946 "It is what it is," a glossary of terms in use on ships of the Royal Navy. Laid in is a relevant clipping. Previous owner's name. 193 pp. Ink spill bottom of rear cover.. First Edition. Hard Cover. Good Plus/No Jacket. Illus. by Beryl Irving. 12mo - over 6¾" - 7¾" tall. London: Frederick Muller Limited, 1962 Red paper boards. DJ has three small edge tears. Three men in a boat were all that were left after they ate the cabin boy. Two tins of turnips were long gone. It happened in 1884. 158 pp. with index.. First Edition. Hard Cover. Very Good/Good Plus. Illus. by Drawings and Document. 8vo - over 7¾" - 9¾" tall. London: Souvenir Press, 1962 Green cloth on boards. No writing. DJ has edge and corner wear. 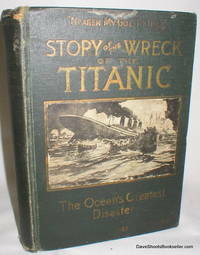 A detailed account of the wreck of two ships in Halifax Harbour on December 6, 1917, resulting in the greatest man-made explosion before Hiroshima. 192 pp.. First British Edition. Hard Cover. Very Good/Good. Illus. by Photos. 8vo - over 7¾" - 9¾" tall. Fredericton, N.B. 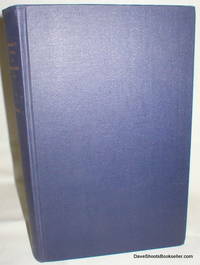 : Goose Lane Editions, 1994 Large format softcover. No writing or damage. 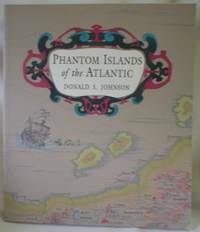 An experienced Atlantic sailor becomes intrigued by the number of non-existant islands appearing on ancient maps. 232 pp.. Soft Cover. Very Good/No Jacket. 4to - over 9¾" - 12" tall. 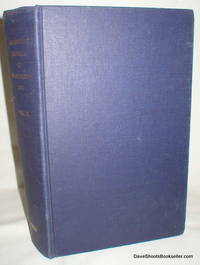 Montreal: Editorial Associates Limited, 1945 Large, multi-coloured hardcover. All about larger passenger or cruise ships. Explains the various personnel and their tasks. Some local history, too, as the ship's names are given, and the statue in honor of Madeleine de Vercheres is described. 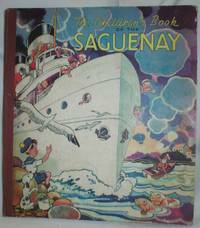 Visit Quebec City, ride in a caleche, see the Manoir Richelieu, and learn to sing 'Alouette'. There are some crayon scribbles on the inside covers, but all text is easily readable. 29 pp.. First Edition. Hard Cover. Good Plus/No Jacket. Illus. by Gagnier, Jacques. 4to - over 9¾" - 12" tall. New York: William Farquhar Payson, 1931 Sketches made at sea aboard The Star of Alaska, 64 of them. Foreword by C. Fox Smith. DJ has been taped inside and has damage to the head of the spine. 127 pp.. First Edition. Hard Cover. Good/Fair. Illus. by Gordon Grant. New York: Dodd, Mead, and Co., 1954 Beige cloth on boards. No writing. DJ chipped all around and torn along fold. 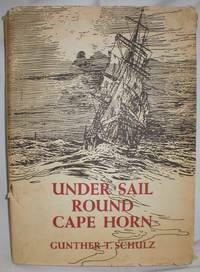 "This is the story, mostly in pictures, of a voyage round Cape Horn in a mighty nitrates barque, a famous four-master, from Hamburg out to Chile and back again." - DJ flap. Six pages of text by Joseph Conrad, titled 'Consecration'. 239 pp.. Reprint. Hard Cover. Good Plus/Fair. 4to - over 9¾" - 12" Tall. By Rieseberg, Lieut. Harry E./ Mikalow, A.A.
New York: Frederick Fell, Inc., 1965 Green cloth on boards. Photo section. Two advanced explorers make our mouths water with stories of millions in treasure. For some it could be a life's work. 221 pp.. Hard Cover. Very Good/No Jacket. Illus. by Photos.. 8vo - over 7¾" - 9¾" tall. London: Collins, 1987 A hefty and impressive account of the early Navy. DJ price-clipped. Heavy book will need extra postage. 445 pp. with index.. Reprint. Hard Cover. Very Good/Good Plus. Illus. by Photographs and Drawings. 8vo - over 7¾" - 9¾" tall. New York: Barnes And Noble Books, 1993 Grey paper boards backed in black cloth. 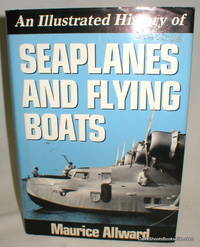 Highlights the 40-year history of flying boats and seaplanes. Tells how refinements of the Supermarine line of flying boats led to the development of the famous Spitfire, famous for its work in WW II. 160 pp. with index.. Reprint. Hard Cover. Very Good/Very Good. Illus. by Photos and Drawings. 8vo - over 7¾" - 9¾" tall. Toronto: Macmillan Company of Canada, 1919 Blue and white cloth on boards. A no-nonsense presentation directed toward young people of the development of the British sea power. 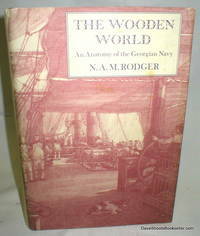 301 pp.. First Edition (No Additional Printings. Hard Cover. Good Plus to Very Good/No Jacket. Illus. by Photos. 12mo - over 6¾" - 7¾" tall. Walter , L.H. Green cloth on boards. Previous owner's names. Drawing on first free endpaper. Cover wear. The standard version which was published around the country by subscription. 320 pp.. Hard Cover. Good/No Jacket. Illus. by Photos. 8vo - over 7¾" - 9¾" tall. London: Ministry of Defence, 1983 Blue cloth on boards. Superseding BR 67(3) dated 1964. Intended mainly for officers. Arranged in the same four parts as Vol. I and III. 534 pp. Heavy book will need extra postage.. Third Edition. Hard Cover. Very Good/No Jacket. 8vo - over 7¾" - 9¾" tall. Ministry of Defence, 1981 Blue cloth on boards. Intended for ratings seeking advancement and junior officers. Arranged in four parts: Ship Knowledge and Safety; Seamanship; Ship Organisation; and Shiphandling and Navigation. Stamp of Fleet School HFX. No writing or damage. 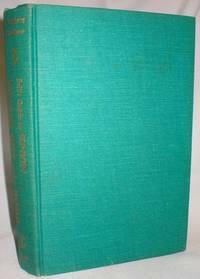 Heavy book will need extra postage.746 PP.. Superseding BR 67(2) Dated 1967. Hard Cover. Very Good/No Jacket. 8vo - over 7¾" - 9¾" tall. New York: Bloomsbury USA, 2007 Black cloth on boards. No writing or damage. Kirkus Review warns "Landlubbers may find this a lengthy voyage, but devotees of yarns about brave British tars will be delighted to be aboard." 420 pp. with index.. First U.S. Edition Stated. Hard Cover. Near Fine/Near Fine. Illus. by Photos and Drawings. 8vo - over 7¾" - 9¾" tall. Annapolis, MD: Naval Institute Press, 2002 Red paper boards backed in black cloth. No writing or damage. 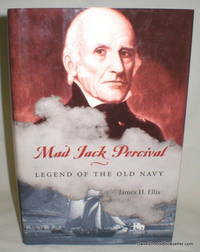 From involuntary service in the British Navy to the crowning around-the-world cruise of the USS Constitution, Percival was a seagoing Paul Bunyan and a superb naval officer. - DJ. 242 pp.. First Printing Stated. Hard Cover. Near Fine/Near Fine. Illus. by Photos and Drawings. 8vo - over 7¾" - 9¾" tall.